Practically, what did I do to flip the class? Wrote specific learning outcomes for each week and put them on the board…This was critical. Learning outcomes identified a specific focus and provided direction…like a design plan. Put all lecture material on line and made it part of their homework. I realized that I had been overwhelming them with content in class, then expecting them to immediately understand and respond with questions and comments. It was time consuming to revise notes and make podcasts for YouTube, but now students had all the content. They had time to read it and think about it. Homework…I wrote a weekly writing prompt which generally involved some research and required students to identify a position and defend it or pose questions about the material. These were posted in their electronic portfolios before class so I had a good idea of what they stood in relation to the lecture/reading material. Class started as an extension of what they had already written about; it was a continuation rather than a fresh start each week. I developed lots of classroom activities and worksheets to help guide discussion. This included group work, class presentations, in-class mini- research assignments, debates, role playing, interviewing, and panel discussions. Sometimes the students generated the questions they wanted to discuss. Class Lecture…I did but never more than 10 minutes at a time. I used these mini-lectures as a way of summing up or expanding or introducing an alternative position to the issue under discussion. They wanted some lecture, just not a steady stream of it. Assessment: Apart from weekly queries, I “took the class pulse” mid-semester. As a group they generated a list of what was working and what wasn’t and suggestions for making their learning experience more productive. Then I went over the list with them and we made what revisions we agreed would help them learn…that’s the key. Flipping is active learning. 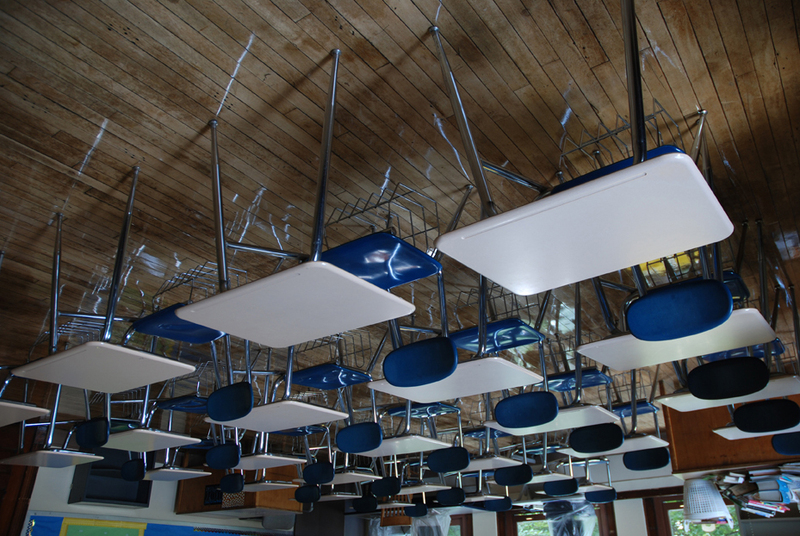 I encourage faculty to flip their classrooms as much as possible but I understand hesitancy. We tend to focus on content and see flipping as time away from that. It is more work (initially) and it takes us out of our comfort zone. We have little or no pedagogical training for this and flipping goes well beyond the typical “class discussion.” It means coming up with weekly worksheets and group activities, continually assessing and revising, making mistakes and learning from them. It can get messy for someone who used to stand at a podium and speak eloquently. This past year my faculty all agreed to flip one class day a semester in the core first year courses. Most were pleased with the results and we’ll continue this next year; some were so encouraged, they continued flipping on their own. We began sharing activities and worksheets: what worked and what didn’t. No one needs to reinvent the wheel and we should all know where the potholes are. I teach in an art and design college where the studio faculty has always used a flipped model. They lecture a little, they question, they demonstrate, they critique, they walk around and mentor while the students work. Students today associate authentic learning with doing, not just sitting and listening and, in the case of art history classes, looking. The flipped classroom provides an active learning environment that can never be replaced by content regardless of how good it is. Technology can deliver content; MOOCs are proving this. Learning is more than content and flipping is critical to learning. Faculty who can shift from being information providers to learning mentors are going to be the ones who stay in the classrooms of the future.